After a period of using your Joomla installation, it will produce junk bits within the database that you are using. Thus, it is a good idea to optimize your database tables for best performance, especially if you are running a large social network website. The process is simply and involves 2 steps. You need to review the Joomla configuration file on your account and confirm the name of your database. For more information on that, you can review our tutorial on How to locate and edit the main configuration file in Joomla. Log into your cPanel account and navigate to the Databases tab and then click on the phpMyAdmin service. 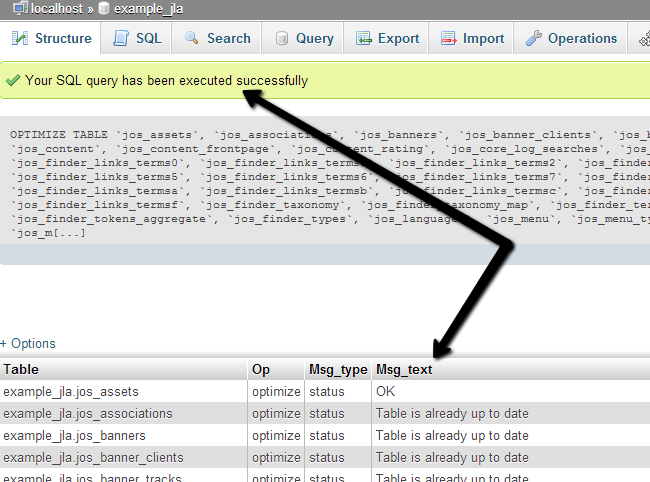 Select the database that you are using from the list on the left side of the screen. Scroll down to the end you will notice a Check All box below the tables on your database. This button will select all of them. 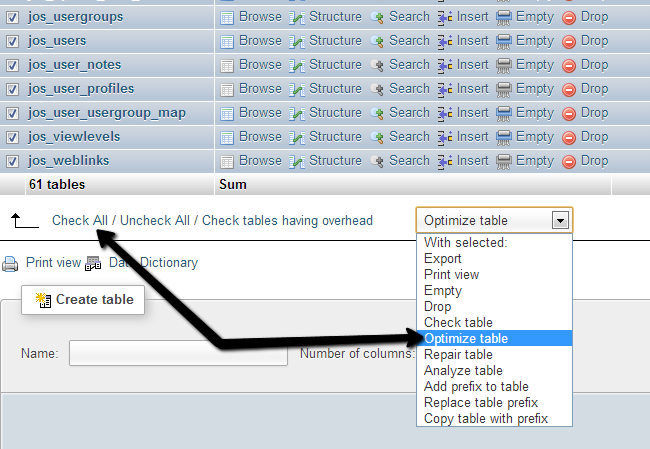 Then simply select the Optimize table option from the drop-down box. Once the optimization of your database is completed, they system will display a successful message and also provide details on the process.